… sounds like a good idea for a Disney movie except we can exchange the gay man for a brunette princess. And oh yeah the Men in Black can be Dwarfs. Not that I’m busy or anything but I think Charessa (my wife) and I are gonna begin working on a screenplay. All of the research is stored in my head so the easy part is out of the way, now its time to put it together in an entertaining fashion that resembles nothing of the true events. You know based upon a true story. We’ve got the index cards out and the opening scene ready to go, should be a fun process... updates to come. This next few paragraphs should be titled “The road to where I am,” or “The first step in a journey I had no idea I was about to begin. As I get in the way back machine, I think I was a senior in High School or maybe a Junior, and one of the biggest snow storms to hit the Kanawha Valley in West Virginia in my lifetime had just passed through. The only bigger storm I can remember I had to walk home from school with my dad and almost got frostbite. My mom used warm wash cloths or maybe a hair dryer, memory in the way back machine is hazy, to keep my ears from falling off. Anyway… I got snowed in at the Thaxton’s house, which was good planning; I got to hang out with my future wife Charessa while the snow melted. I ended up spending a lot of time on that hill in high school and we ended up buying a house and living there the first ten years or so of our marriage. So during the snowstorm I call up the local video store and see if they are open and how long. The guy on the other end of the phone tells me he’s about to close. I tell him I can be there in 10 minutes, we have to walk because of all the snow, he says OK. That was the first time I met Jeremy Brightbill, to make a long story short we became instant friends, I got a job at the video store and we started a band together along with another friend of mine Antonie Zorio. We would be known as Watership Down after the Richard Adams Novel. Jeremy is now working on the soundtrack to “Romeo Must Hang,” I can’t wait to hear what he comes up with, he’s truly a great musician. My time at the video store allowed me to study filmmaking and watch a lot of movies, and they paid me to do it. At the time my Favorite Actor = Dennis Hopper, Favorite Movie = Raising Arizona… It was a journey that began there and after a few detours I ended up studying film in college. I was fired from the job at the video store once and like a good producer I talked them into hiring me back, besides I had a lot more movies I needed to watch. Well it’s 12:30 am and I’m on disk 3 of 7 of the final cut install… it’s gonna be a long night. I think I’ll go read A Clockwork Orange. Labels: "Editing", "Filmmaking", "Gray Barker", "Romeo Must Hang", "Shades of Gray"
Traveling by a bus that ran on cooking oil, eating out of dumpsters when necessary, seeking out those many people try to avoid. It might not sound like an experience many would want, but for local filmmaker Bob Wilkinson, it was all part of a documentary to show the plight of homeless people in the south. It all started a couple of years ago when The Bridge, an area ministry started by Wilkinson’s wife Charessa, was hosting the Rock in Love Tour. She had invited Brandt Russo to attend and share his story with the young people who attended the multi-town event. Russo had become jaded by the religious establishment and followed the instructions of Jesus: sold his possessions and dedicated himself to helping those less fortunate. It was during the Cornerstone Festival, which Charessa called a “hippy Christian music fest,” that Russo said he was not going to allow any more media access or film footage of him. Bob jokingly asked if that meant he couldn’t make a film featuring Russo. But when Russo said he would allow him to, Bob began to take the idea seriously. After finding a diesel mechanic and military man in Ripley who was willing to help make repairs to the bus emblazoned with the motto “Can’t Ignore the Poor,” Wilkinson and Russo left Jackson County and headed south with no money and no idea what the next two weeks would bring. “I told him I’d go out and live like him,” Wilkinson said. Wilkinson has making films since 2000 as a college student and has made a career of it. He has been working for West Virginia Public Broadcasting. He has produced several documentaries including “Rounding Third,” a history of Charleston’s minor league’s Watt Powell Park, and “John Brown’s Body,” a look at the legacy of Brown’s raid in Harper’s Ferry. His first independent documentary was “Shades of Gray,” a portrait of the man behind the Men in Black legend. It was picked up for distribution by Media 8/Trillian Entertainment. This latest film is called “Adopt-a-Jesus,” named for the project Russo was trying to get off the ground in Houston. The project involved photographing homeless people around the city and encouraging others to “adopt” them – by seeking them out, learning about them, bringing them some food, and other small gestures to show them people care. Between Ripley and Houston, they stopped in major cities along the way, interviewing homeless people, learning their stories, and feeding them. Wilkinson said he and Russo, accompanied by Jonathan James who photographed their trip, mostly found food stores and restaurants had thrown out – food that was still perfectly good but wasn’t sold. At one point they found 100 boxes of crackers that had been thrown out because the boxes were dented. Those crackers were donated to a local soup kitchen. They had to rely on the fact people threw out cooking oil to literally fuel their trip. People were reluctant to give them used oil, which meant they had to take what was being discarded. Bob explained the bus ran on diesel until the oil reached a certain temperature and then the conversion would happen automatically. “We made it to Houston on very little money,” he said. The trip certainly was eye-opening, not only in terms of the conditions of the homeless, but also in terms of how they are treated by everyone, including the church. Often, they would be run off church parking lots where they would park for the night. Eventually they ended up at Lakewood Church in Houston, home of television evangelist and best-selling author Joel Olsteen. When Russo, with his long hair, piercings, tattoos, and raggedy clothes, walked in and sat down in the front row, he was escorted toward the back where cameras would not film him. An usher later apologized, saying that he did not feel the same as the other ushers, and neither did Olsteen. The Adopt-a-Jesus project was set up outside the Lakewood Church. However, security guards quickly broke up their demonstration as people walked passed, paying little attention to their pleas for the homeless. But they did find some positive stories along the way. A stop a Loretta Lynn’s Kitchen was one. Wilkinson said anyone is welcome to eat there regardless of their ability to pay. They also found a family who purchased a former crack house and refurbished it to make a group home. These are the stories that helped shape the film, one Wilkinson said will cause everyone who sees it to “question your position on things.” Originally set for a 10-day run, it is turning into a five month run across the country. Russo is traveling to be at each screening during this time to help share his story. 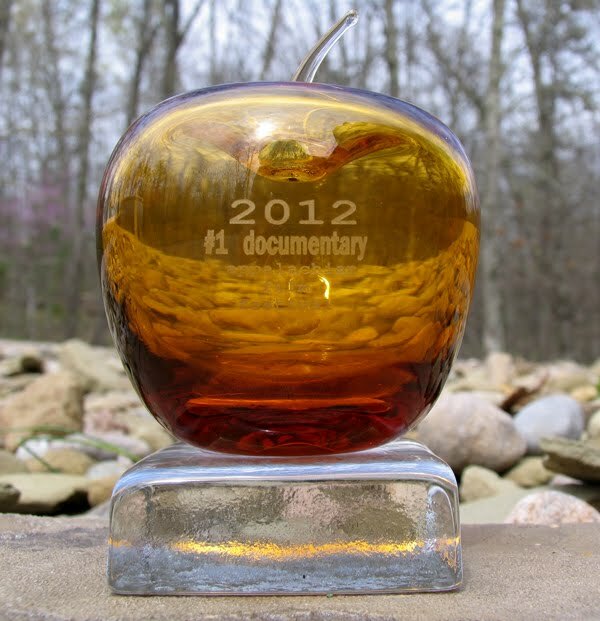 The film will have a few showings in West Virginia beginning at the end of November. On November 30, “Adopt-a-Jesus” will be shown at the student union of West Virginia State at 7 p.m. On December 1 Marshall University will show the film in Smith Hall. Several campus groups and departments are joining forces to show the film and hold a coat drive in conjunction. The film will be shown in Ripley on December 4 at 7 p.m. at Phoenix Rising Tattoo on Main Street. A trailer for the film can be viewed at YouTube. For more information on screenings, visit adoptajesus.com. 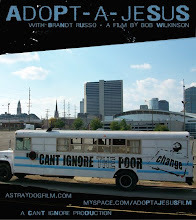 Labels: "Adopt a Jesus", "Brandt Russo", "Homeless"
Before the film Adopt-A-Jesus, when I saw a homeless person on the side of the road I would swerve and just go on my way not thinking how that person could of been feeling that day. I never gave them money because I always thought they would use it for the wrong things. I watched the film Adopt-A-Jesus last night with a group of college students and it changed my way of thinking tremendously. I thought the movie was a great documentary which not only opened my eyes to homelessness but opened my eyes on how we can help the homeless. When I saw the card board cut-outs of homeless people that others can pray for I thought it was a great idea. The film stirred a message in my heart and also in the hearts of many others that I talked to after the movie. The movie took my mind off of me and placed it on a much greater population that I didn’t think of often. Labels: "Adopt a Jesus", "Bob Wilkinson", "Brandt Russo"
Letters from Stanton Friedman & Jerome Clark about "Shades of Gray"
I am frankly thrilled at how well this film turned out. I love the way you tell the story, which keeps circling back on itself, each time exposing new levels of insight and revelation. The final part, integrating Barker's public life as a UFO personality and his private one as a deeply closeted gay man, is a stroke of genius, and entirely persuasive. The first part so brilliantly parodies a cheesy, gap-mouthed cable-TV UFO "documentary" that you had me fooled there for a few minutes. Watching it, I was lulled into thinking, "Oh, another one of those." Man, was I wrong. You've made a smart, unexpectedly moving film, and I give you my heartiest congratulations. I've watched it four times now, and it stands up each time. I've also learned things I didn't know from it. That was a touching film. Thanks for sending it. Well done. A sad tale but a fascinating one. As best I can tell you have captured the man.. warts and all. Labels: "Flying Saucers", "Gray Barker", "Jerome Clark", "Men in Black", "Shades of Gray", "Stanton Friedman", "UFO's"
Cost: Free! Bring food for the Stevens County Food Shelf if you are able. Cost: None- please bring donations of canned goods and winter clothing to help local shelters. Labels: "Adopt a Jesus", "astraydogfilm", "Bob Wilkinson", "Brandt Russo", "Homeless", "Least of These"
Labels: "Mountain Stage", "Neko Case"
Click on the title link above . . . "Adopt a Jesus" was mentioned in The USA Today ... kind of Crazy!!!! Thanks Amber for the heads up. New Iberia native Brandt Russo has been kicked off the properties of more churches than most people probably attend in a lifetime. Russo, 25, is voluntarily homeless. Russo graduated from Assembly Christian School, attended Bible college, and became an ordained minister. He was living in a gated community and working two jobs in Texas a few years ago when he decided to buy a plane ticket to Portland, Ore., give up all his money, drive back to Texas and see what happened. The car he bought there broke down after only six hours on the road and he was welcomed into the home of a family in Idaho. Russo has spoken at universities and churches, and has now participated in several documentaries. He’s become a figure in the “underground Christian” scene. He started a T-shirt company (Can’t Ignore the Poor) he’s trying to register as a nonprofit and gives away most of the proceeds. He drives a school bus powered with cooking oil, not for political or environmental reasons, he said, but rather because he can’t afford diesel — used cooking oil is free. Russo uses the bus, which has “Can’t Ignore the Poor” written on the side, to pick up homeless people and hitchhikers and give them shelter and food. As a person, Wilkinson said what stands out most about Russo is his authenticity. “He’s real compassionate, and he’s passionate about his beliefs,” he said.
. . . CLICK ON THE TITLE OF THIS POST TO READ THE REST OF THE ARTICLE. . . It seems that there is a renewed interest in the life and times of Davis Grubb. 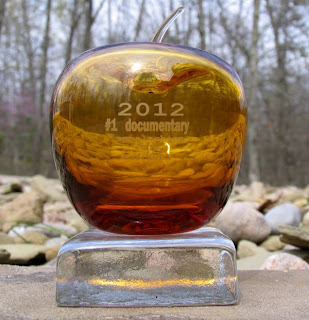 Several years ago Kate Long won national awards for her radio documentary series, “In Their Own Country” about some of WV’s greatest writers including Grubb. Hopefully, this summer Prof. Thomas Douglass’ biography of Grubb will finally get published. I contacted Brad Stalnaker of WVU who co-directed the great WV animated film, “The Griffin and the Minor Canon.” He wanted to make an animated version of Grubb’s great Christmas story, “A Tree Full of Stars.” At that time, Grubb’s brother had just died, not leaving a will. As the executor of his brother’s estate, there was no way to get clearance to make the animated film. Presently, Susan Grubb (suzbud@hotmail.com) and her step brother Trevor McNeil are in charge of the Davis Grubb estate. Given Davis Grubb’s great imagination, I for one hope that there are many more people out there who will eventually make film versions of his many books and short stories. While scouting locations for "Romeo Must Hang" in Sutton, West Virginia. I decided to drop in on Madeline Dodge to see how she was doing. Madeline is at best guess in her eighties and runs a bar in Sutton called the "The Draft House". Beer is only a dollar and your limited to about three choices, and oh yeah, you better get there before 2pm or chances are Madeline has closed up for the day. If it's a WVU gameday, you better go down to the Rite-Aid and pick up your own beer. It's hard to describe the folks that patronize the "Draft House". Their a rugged bunch that filter in from the mountains of Braxton County to begin drinking at 10am is probably the best way to put it. I walked in the door first followed by Steve, the chatter coming from the dozen or so people in the bar screeched to a halt. I have a feeling even though I'd been to the draft house on a number of occasions while shooting "Shades of Gray", that I didn't quite look like I was from around "these here parts". I proceeded up to the bar to where Madeline faithfully sits each and every day to serve patrons. "How are you today?" I asked. Looking back at me with a look that appeared to say "Who are you?" she said, "Are you still doin' that there TV?" "I guess I am." I said. There was a small laughter that built in the room and the chatter once again began. Steve stood back trying to get a photo while I spoke with Madeline. Our conversation was interrupted by my phone ringing out my Bob Marley ring tone once again lead to an uncomfortable situation. I told Madeline I would see her again and we left. We were now off to the town of Gassaway to meet the Mayors wife so she could take us to see the jail. Sutton is a great little town with lots of character and of course the charming little draft house sitting on the corner is a must visit for anyone visiting. 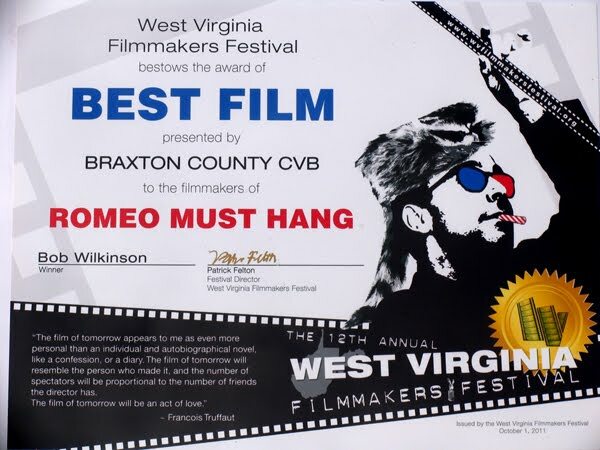 Braxton County is starting to feel like a second home with all the filming we've done there over the past few years. Gray Barkers hometown of Exchange is just down the road from Sutton and then of course there is the Braxton County Monster there in Flatwoods. We'll be making many trips up there this year including being a guest at the Flatwoods Monster Festival in September. Should be fun, that will make it 2 for 2 in appearances at the Monster Festivals here in West Virginia, Mothman being the other. steve . . . the d.p. In 1931 a woman and her three children left their home in Chicago, en route to a new life promised them by a man who promised a home, affection and security. Three weeks later they were found dead - buried in a ditch in a small West Virginia Town . . . and they were not alone. 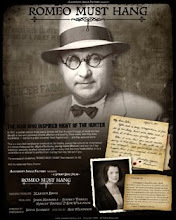 This is a story that transfixed an entire nation for months; a story that came to be imortalized in a classic Hollywood film (Night of the Hunter, starring Robert Mitchum); and even as it has faded into obscurity, its effect echoes even still - every time the news media latches on to a serial killer in an attempt to profitize from scaring the living hell out of you. The newspapers screamed, "ROMEO MUST HANG!" Rest assured, he did. And his name was Harry Powers. For 14 days we traveled through the south in a bus that ran on used cooking oil. We picked up hitchhikers and listened to the stories of the homeless and those who devote their time caring for them. We survived on the street skills that Brandt Russo acquired form the time he spent on the streets of Houston and hitchhiking throughout the US. This is my newest film, it has been picked up by Media 8/Trillian Entertainment. GRAY BARKER stood at the heart of America’s UFO phenomenon almost from its inception. His investigations led to the publication of his best-selling book, THEY KNEW TOO MUCH ABOUT FLYING SAUCERS. He probed the mysteries of the Men-in-Black, Mothman and the Philadelphia Experiment, which in turn invited unwelcome visits from the government in an effort to silence him. 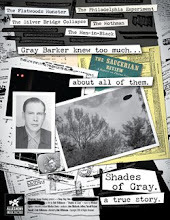 SHADES OF GRAY peels the layers off one of the great American hoaxter’s of the late twentieth-century. Part Fox Mulder, part Mark Twain, Barker almost single-handedly created or perpetuated much of what is now taken as the “gospel” of UFO’s. But Barker’s twisting of the truth didn’t stop there. In some ways, his entire life was as much a myth as anything he ever wrote. This documentary strives to present a complete picture of a complicated, and ultimately influential, modern American myth-maker. For more info visit the films website www.theyknewtoomuch.com or send me an email @ astraydogfilm@gmail.com.